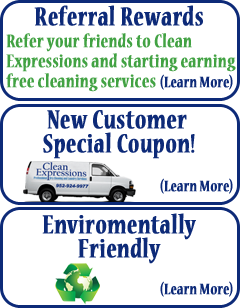 Clean Expressions provide pick up & delivery dry cleaning and laundry service to businesses and hospitality industry in Minneapolis metro area and surrounding. We service customers that range from individuals to large wholesale clients including hotels, restaurants, and corporate offices. No More Trips to the Cleaners! We are committed to provide the highest quality and service in the dry cleaning industry by working to exceed the expectation of our customers.